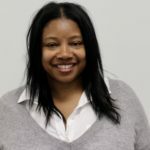 CONEY ISLAND – Letitia James and Julia Salazar aren’t the only ones getting endorsements snatched away from them. Ethan Lustig-Elgrably, running for the 46th Assembly District, seems to be in the same boat – losing support from small business owners along Mermaid Avenue over his ambiguity on forming a Coney Island Business Improvement District. Edwin Cosme, an outspoken store owner against the proposed Coney Island Business Improvement Development (B.I.D. ), hung a vinyl, 6 X 3 banner above Lustig-Elgrably’s campaign office on Friday. Cosme, 58, owns the building and rented the storefront, at 1726 Mermaid Ave., to the assembly hopeful as a campaign office mid-May. The store owner had supported the candidate until last week, and his name is posted on Lustig-Elgrably’s website under endorsements. During a debate between Lustig-Elgrably and Mathylde Frontus, who is also vying for the assembly position in the 46th Assembly district, Lustig-Elgrably did not provide a yes or no response to the question of whether or not he supports a Coney Island B.I.D. “Simply put, it is far too early in the process to give a yes or no answer to this question,” said Lustig-Elgrably in front of dozens pointing out Cosme in the audience as being a “big critic” of the B.I.D. proposal. His opponent, Frontus said that she would support the wishes of the business owner. Cosme claims people who are structuring this BID do not live in the area and have no idea of the economic impact the additional fees have on landlords shop owners. Cosme is both. He said his business, Hair for U, would suffer and as a landlord understands how independent shops would be hit hard when landlord pass on the fee. Cosme said he and the business owners are looking to form a legal coalition to protect against outsiders making decisions on their behalf. In the meantime, they met two weeks ago and decided how they’d incorporate lawmakers into the fold. 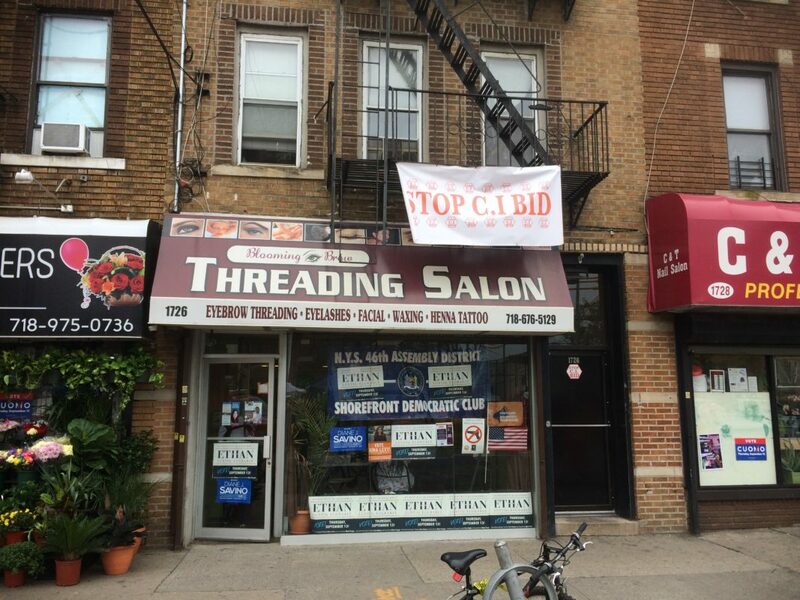 “We decided at the meeting we would endorse the candidate that expressed interest in the small business owners of Coney Island.” That candidate to them no longer is Ethan Lustig-Elgrably. 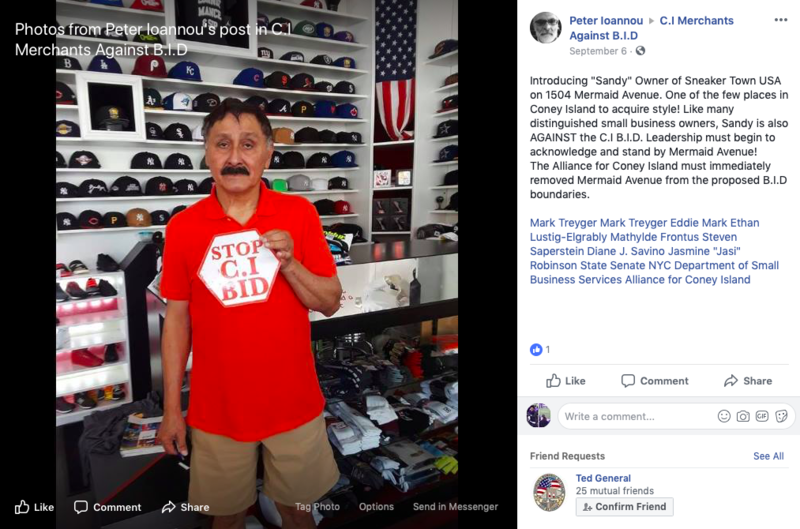 Edwin Cosme is brandishing his political chops: Punishing candidate Lustig-Elgrably for backing a BID to come and start extorting the stores on Mermaid Ave. That’s what BIDs get to do legally, thanks to the usurious anti-small business BID legislation from the City Council. BIDs are apolitician/landlord the mafia. A BID comes in to take over. BIDs are authoritarian, making the small stores become serfs, without a voice, forced to pay ever-increasing fees for services they don’t want and block grabs like pedestrian plazas. Good for Methalde Frontus for pledging to respect the small owners. May all the small business owners follow Cosme’s lead and go to the polls tomorrow to vote for her tomorrow. A vote for Frontus is a vote for autonomy and freedom. May the small business owners kick Lustig-Elgrably to the sidewalk tomorrow. Vote Methylde Frontus for Assembly!